Mila comes from Croatia. She obtained her Bachelor's degree in Molecular Biology at the University of Zagreb. After spending a year abroad during her ERASMUS exchange program at the TU Dresden, she decided to continue her education there and obtained her Master's degree from BIOTEC, studying Molecular Bioengineering. For her Master's thesis she joined the lab of Francis Stewart, where she was introduced to gene expressing systems in stem cells. In particular, she was interested in the auxin-inducible degron system for the investigation of epigenetic regulators and their influence on gene expression. Afterwards, Mila joined the new lab of Anja Bremm, where her interest shifted towards protein biochemistry. She is now investigating the roles of deubiquitinating enzymes in autophagy regulation. When not in the lab, she can be found passionately doing various sports or enjoying a nice cup of coffee in a relaxing atmosphere. Julia did her Bachelor´s degree in Biology at the Julius Maximilians University of Würzburg. She obtained her Master´s degree in Biological Science at the University of Konstanz. For her Master´s thesis, Julia joined the group of Prof. Martin Scheffner and studied mechanisms involved in regulation of p53 ubiquitination and neddylation. 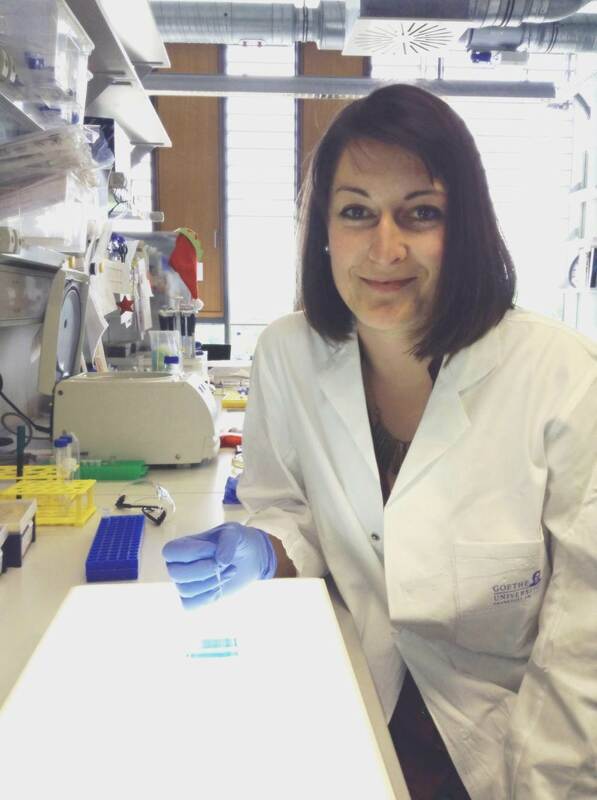 In April 2014, she started her PhD in the Molecular Cell Biology group and is currently investigating the functional role of atypical protein ubiquitination in hypoxia signaling and mechanisms in regulating DUB activity. Alexandra obtained her Bachelor's degree in Chemistry at the Technische Hochschule Nürnberg and moved to Frankfurt to focus her Master's studies on Biochemistry at the Goethe University. For her Master's thesis, she joined the group of Anja Bremm, where she investigated the role of deubiquitinating enzymes in retromer-mediated protein trafficking and autophagy. 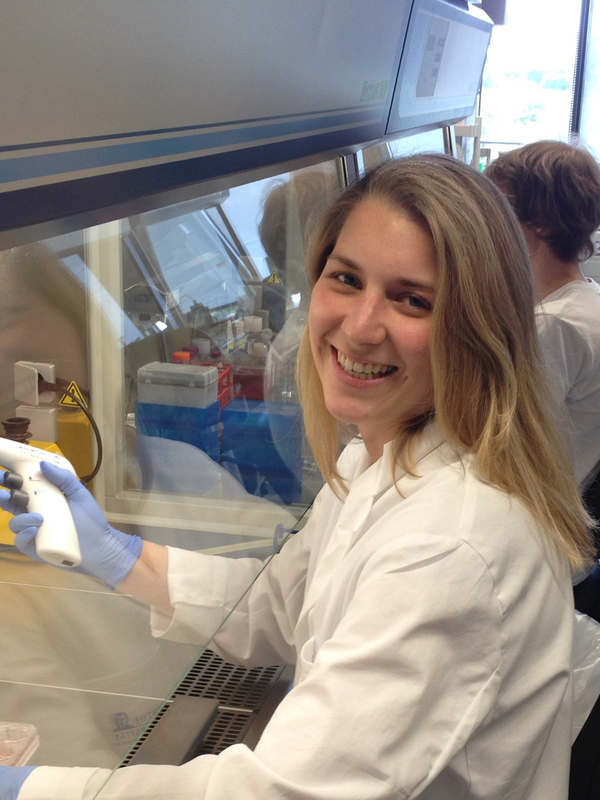 Alexandra started her PhD in the lab in January 2016 and continues with her project working on DUBs in protein trafficking and sorting.